New Patients, please click below to register before your first appointment. in DC, Maryland and Virginia! Manage your health care on your phone! With the healow app, you can make appointments, access lab results, vitals, manage medications and more. At Comprehensive Primary Care (CPC), we want to assist you in managing your health holistically, so we focus on you as a whole person, not just a collection of symptoms and conditions. We take time to get to know you, tailor our care to your needs, and give you the highest level of communication, education and support. Our goal is to form a trusting and lasting relationship with you, our valued patient. Each of our exceptional healthcare providers can assist you to better manage all of your healthcare, including preventive care, acute conditions and chronic illnesses. We provide this comprehensive, coordinated care in ten convenient locations throughout Washington, DC, Maryland and Virginia. With multiple locations and providers we offer easy and convenient access to care. Our online patient portal will enable a quick and easy process for secure messages between you and providers, prescriptions, and other healthcare information. Providing you with hassle free tools in managing your healthcare. We work to be your medical home. Our practice will stay in touch you with between your visits as well as providing reminders when it is time for your annual exams or need for important diagnostic tests or procedures. How Do I Know if My Baby Is Sick? 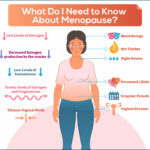 What Do I Need to Know About Menopause? Make an Appointment Patient Portal Access your health records on your phone! Comprehensive Primary Care is an equal opportunity provider offering a complete benefits package. Your email address is safe with us. We send emails only a couple of times a year. © Copyright 2019 Comprehensive Primary Care. All Rights Reserved.